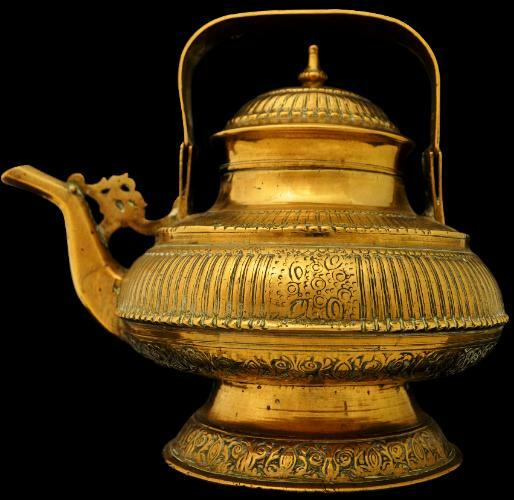 This kettle, cast using the lost wax process, stands on a tall, splayed base, is decorated with foliage and geometric motifs amid ribbing that emulates split bamboo, has a prominent spout with an open-work fringe, a heavy gauge handle topped with a typically Malay diamond shaped floral cartouche, and a cover topped with a domed finial that sits over, rather than in, the well of the kettle. Malays did not use eating implements but ate with their right hands only. 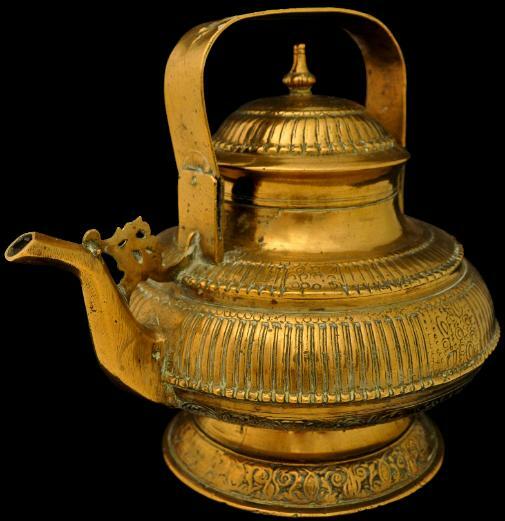 This type of kettle was used not for tea or coffee but to store cold water that was used to wash the right hand after eating. The left hand was used to hold the kettle by the handle and the kettle was then tipped to pour water over the right hand, the water splashing into a basin or onto the ground if eating outside. In the past, Malays tended to eat sitting on the floor or ground, so the kettle is designed to stand on the floor, hence its sizeable and solid base to give it elevation. 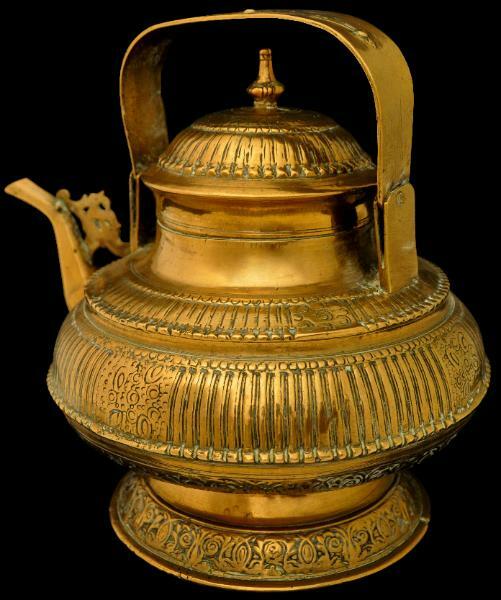 Kettles of similar form are illustrated in Malaysian Traditional Crafts, Urban Council of Hong Kong, 1981, p. 85; and Chin, L., Cultural Heritage of Sarawak, Sarawak Museum, 1980, p. 46. 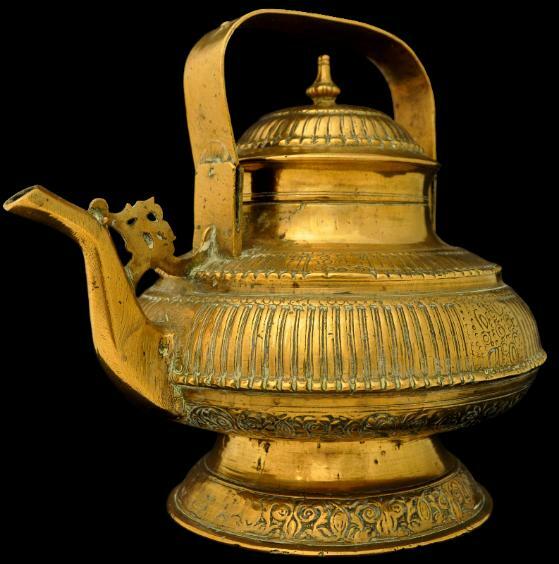 To see the Gallery’s complete collection of Islamic and Indian ewers, click HERE.